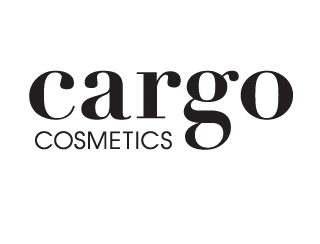 New York, NY, October 18, 2017 – Award-winning color brand, Cargo Cosmetics, has tapped Rocsi Diaz to be the face of their Spring/Summer 2018 collection. Each season, Cargo journeys to a different destination as a nod to the free spirit of the independent traveler. With Rocsi as ambassador of the campaign, the beauty brand will transport fans to Havana, Cuba. The Spring/Summer 2018 collection will debut in over 1,100 Kohl’s department stores in February 2018. Rocsi Diaz will appear in all elements of the brand’s comprehensive marketing campaign including print and digital advertising, in-store displays, public relations, event appearances and social media. Rocsi Diaz joined Entertainment Tonight (ET), the #1 entertainment program in the world, as the weekend co-host and daily correspondent in 2013. She is an Emmy award-winning TV host known for breaking celebrity news, exclusive interviews, behind-the-scenes first looks, and Hollywood’s hottest stories from the worlds of film, television, fashion and interactive media. Most recently Rocsi hosted the VH1 show, Dating Naked. Prior, Rocsi was the co-host of BET’s ultra-popular show, 106 & Park. Over her career, Rocsi has interviewed a wide range of stars including Lady Gaga and Eminem. Additionally, Rocsi has garnered a strong combined social following of over 3 million followers on Twitter and Instagram.